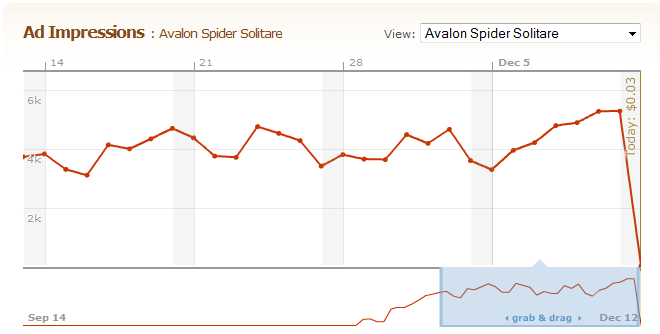 Due to the demand I have decided to rename the Avalon Spider Solitaire web URL to http://avalon-spider-solitaire.tk. 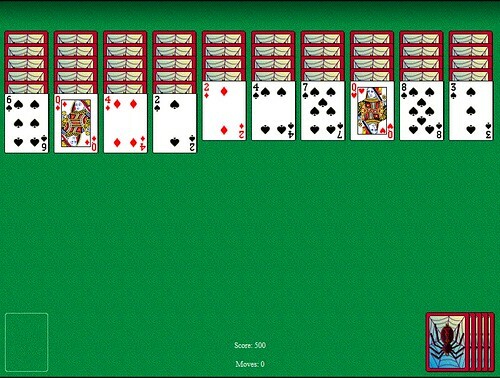 See the income for this game over here. Update: I just noticed that the google gadget version has created 21,235 users. Thats a lot! Also some peple are having problems with the width of the gadget. I am unable to reproduce that problem tho. 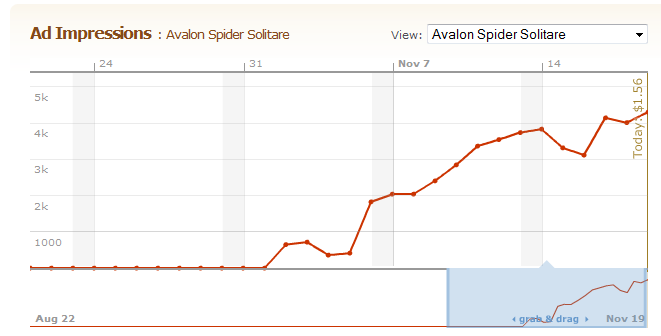 Update: Due to the demand I have decided to rename the Avalon Spider Solitaire web URL to http://avalon-spider-solitaire.tk. The game is also available at Newgrounds over here. Update: Now also available at DeviantArt and WidgetBox.